BERRA ROOKIE!!! 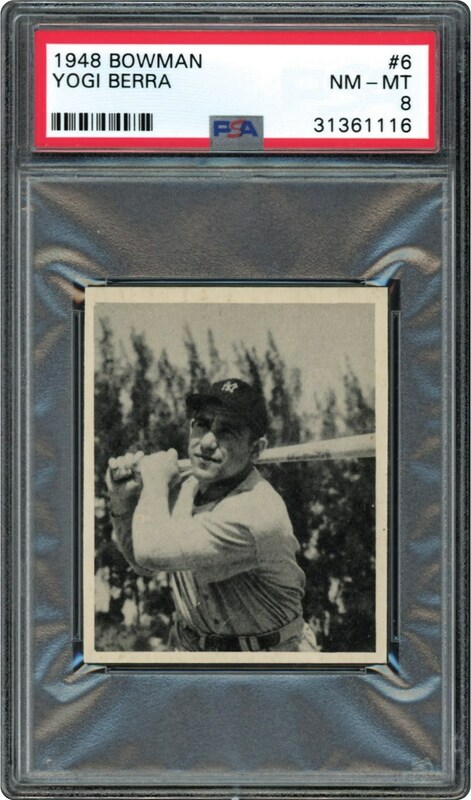 A young Yogi Berra on his Rookie card from the 1948 Bowman series. Only a handful grading higher than this NM-MT 8. 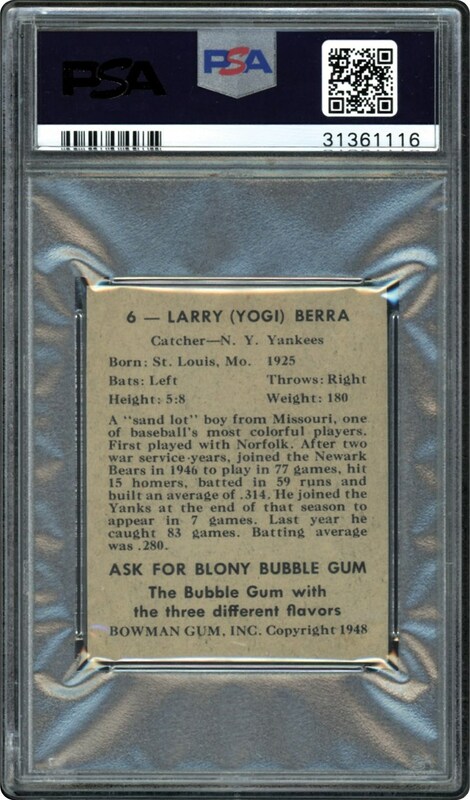 Great eye appeal, with a strong presence in the PSA holder. Clarity plus with extraordinary details. A top card is calling!! !